GOVERNMENT has secured land in Kapara area of Chipata District for a tobacco processing plant. Eastern Province Minister Makebi Zulu has confirmed the development to the Sunday Nation. Mr. Zulu said Government recognised the potential of the tobacco industry to economic development and it was, therefore, making all efforts to revive the industry. He disclosed that the securing of the processing equipment from China was to ensure that there was value addition to tobacco being produced in the region. Mr Zulu said the tobacco processing plant would also create jobs for youths in the province once the installation was completed. “We have secured land for a tobacco processing plant and we are now in the process of securing equipment from China. Once everything is done and the plant becomes operational, it will help reduce unemployment levels in the province because the youths will be employed,” Mr. Zulu said. He said Government through the Tobacco Board of Zambia (TBZ) was making every effort to ensure collaboration with neighbouring countries on both market and breeding research. Mr. Zulu said some Zambian tobacco experts would soon be sent to neighbouring countries such as Zimbabwe and Malawi to learn how those countries were getting the new buyers to beef up the shrinking tobacco industry in the country. He said this would replenish the depleted market following the exit of some tobacco companies like Alliance One. “There is need to strengthen our collaboration with our neighbouring countries to share ideas. 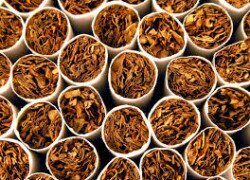 This will also help in reviving the tobacco industry in Zambia which is slowly shrinking,” he said. He reiterated that the tobacco industry played an important role in the country’s economy and the livelihoods of rural farmers as it employed over 450,000 people directly countrywide.